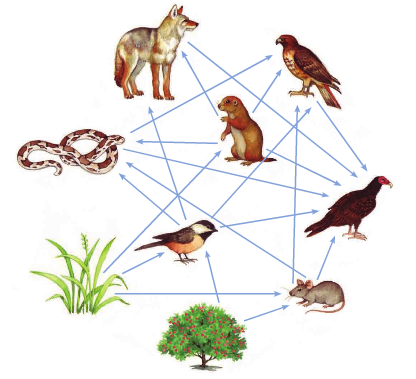 The study of ecosystems or how organisms interact with each other and their environment. Largest level or organization. 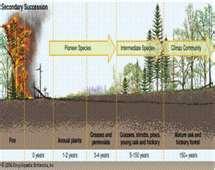 The zone of life on earth that includes all living things. A group of the same species of individuals living in the same area and interacting with each other in some way. Populations of different species that live in a specific location. Unchecked reproduction of a population of organisms. Occurs when each individual in a population reproduces, the offspring reproduce, and then the offpring of the offspring reproduce. The largest population that a given ecosystem can support at any time. It is determined by the availability of resources. Living things or things associated with or the result from the activities of living organisms in an ecosystem. Nonliving thing in an ecosystem such as rocks, soil, climate, etc. A producing or feeding level in a food chain. 1st trophic level in organization. Plants and other photosynthetic organisms that produce glucose (converts sun energy into chemical energy). Also known as autotroph. The pathway along with food/energy is transferred from one organism to another. 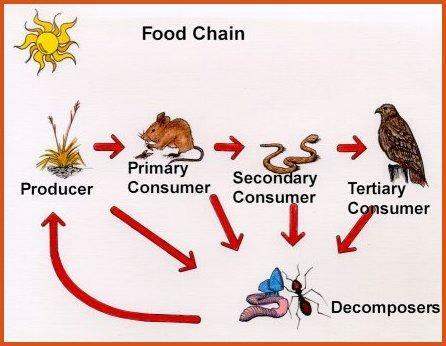 Shows flow of energy in all of the interconnected food chains in an ecosystem. An organism that eats other organisms or are heterotrophs. Species that plays a key role in maintaining ecosystem stability. An area that can no longer support life due to depletion of oxygen. A large area dominated by characteristic plants and animals, such as a rain forest, desert, or tundra. Determined by participation and temperature. 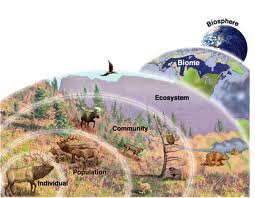 It is the broadest level of ecological classification within the biosphere. The variety of species and total number of individuals of each of species living in a defined area. An important indicator in how healthy and well-functioning an ecosystem is. When a species disappears from the earth, represents an irreversible loss of biodiversity. Limits the potential for a population to grow exponentially due to the availability of resources such as food, water and predators. Organisms that eat other organisms for energy. Also known as consumers. Organisms that produces its own food either by photosynthesis or chemosynthesis. Also known as a producer. Autotroph that produces its glucose by using organic molecules instead of solar energy. 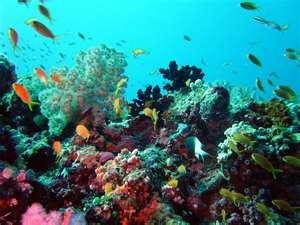 An ecosystem in water - can be marine (saltwater) or freshwater ecosystems. A graphical model that is shaped like a pyramid to show how the energy flows through a food chain. A graphical representation of the total amount of chemical energy present at each trophic level of an ecosystem. Used to explain energy flow in energy pyramids. 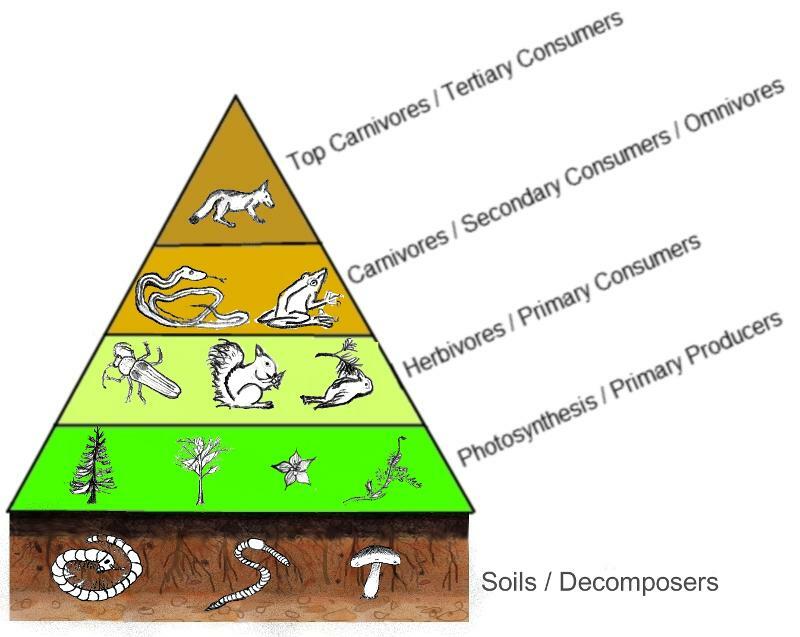 In each trophic level, 90% of the available energy is used by that level and 10% moves up to the next level when they are eaten. 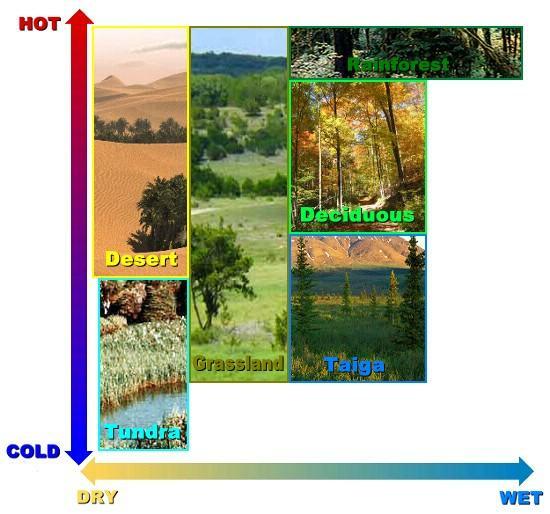 The change in species composition in a defined area over time, starting on ground that has no living things on it. First plants or animals to inhibit bare land. When ecosystems change over time through the progressive replacement of species. 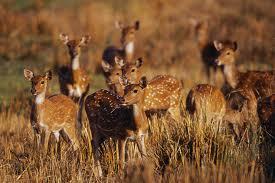 Changes in plant and animals life in an established ecosystem, can only occur after an ecosystem is in place. A stable, long-lasting community that results from succession. 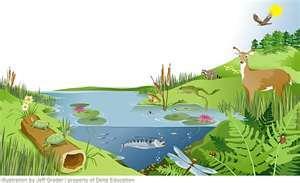 Organisms that have invaded established ecosystems and disturbs the balance of the ecosystems. Also known as invasive species. How water is stored and moved between land, air, and living things. Part of the water cycle where liquid water changes to water vapor due to heat from the sun. 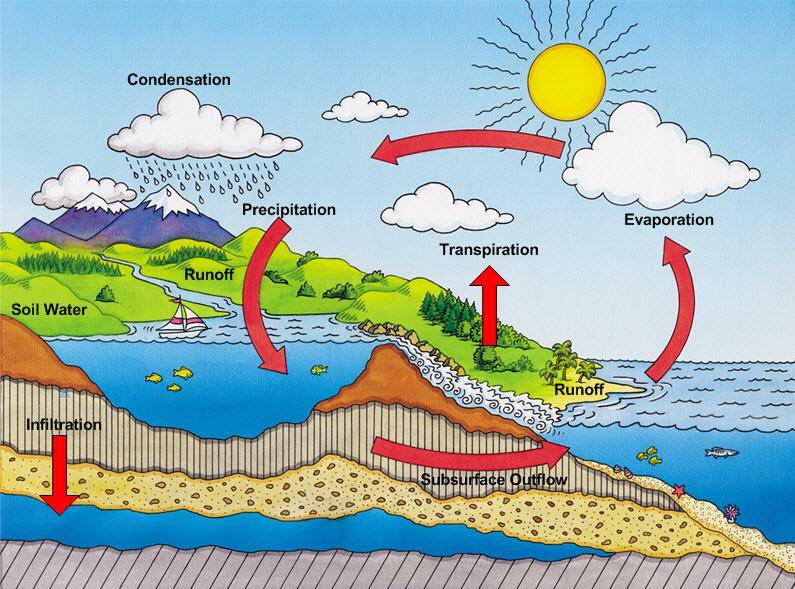 Part of the water cycle where a plant loses water to the atmosphere through the surface of its leaves. Processes in which organisms exchanges gases with its environment. 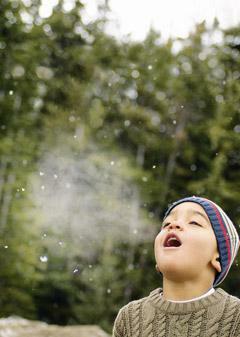 Part of the water cycle because animals exhale water vapor into the air during respiration. Organisms, such as bacteria and fungi, that consume very small bits of organic matter from dead organisms and breaks them down into chemicals that are recycled back into the environment. Organisms, such as worms and maggots, which eat dead material such as decaying leaves or dead animals. A detrivore that feeds on dead or decaying organisms. Organisms that live off other organism without consuming the whole organism. Can be harmless or harmful to host. Type of symbiosis where both organisms in the relationship benefit. Type of symbiosis where one organism benefits (parasite) at the expense of the other (host). Type of symbiosis where one organism benefits and the other is not affected. 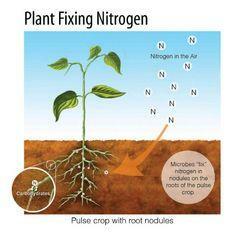 Cycle where nitrogen changes into different chemical forms. 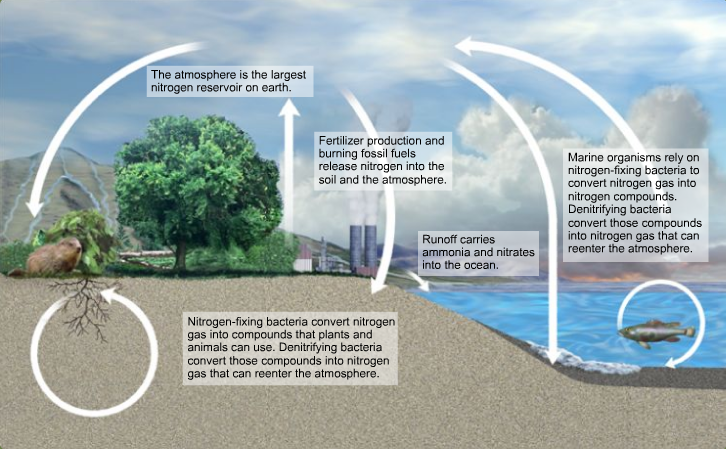 Atmosphere is largest reservoir of nitrogen, but is not useable so it needs to be converted into useable forms for organism. Conversion of nitrogen gas into ammonia and nitrates by bacteria. Bacteria form symbiotic relationship with plants to provide usable nitrogen for plants. 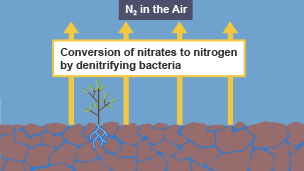 The conversion of nitrate to gaseous nitrogen by bacteria, which then enters the atmosphere. These bacteria use nitrogen compounds instead of oxygen for their processes of respiration. Processes that recycle carbon, one of the most important elements on earth, between earth's soil, atmosphere, and organisms. 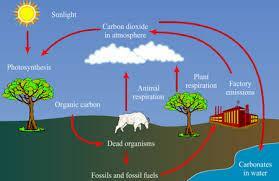 Processes that cycle of oxygen between air, land, and organisms. When radiant light breaks apart the chemical bonds of oxygen containing molecules. 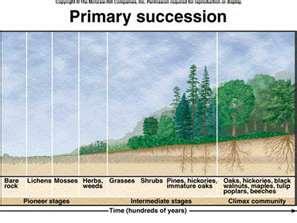 Resources that regenerate or regrow fast enough for us to keep using them. Ex: radiant energy, livestock, wind and water. Resources which either cannot be renewed at all or take such a long time to renew that people cannot depend on the renewal. Ex: oil and fossil fuels. 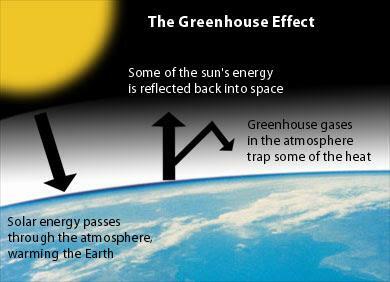 The process in which the atmosphere reflects radiation bouncing off earth's surface. Gasses in the atmosphere which trap radiant energy, such as carbon dioxide. Increased greenhouse gases are thought to be causing global warming. The presence of harmful materials in the environment. The maximum capacity of living things to survive and reproduce under optimal environmental conditions. Limiting factors in the environment that depends on the size of the population, operate most strongly when population is large and dense. 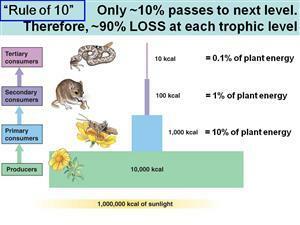 Limiting factors in the environment that affect a population regardless of size of population. Ex: natural disasters, human activities, drought etc. Where a predator feeds on a prey. Population size of the predator affect the population size of the prey and vise versa. Actual niche. 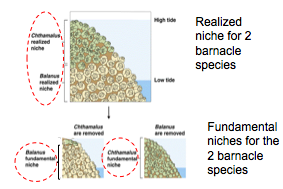 The part of the fundamental niche that an organism actually occupies as a result of limiting factors in its habitat such as competition.